Mrs Moon was the honored guest of the Lord of West Bromwich at the House of the Lords. In a powerful proclamation Rev Moon urged us to develop our hearts and qualify to enter the next stage of life, in Spirit World.. 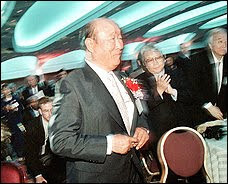 According to Richard Kay, the Daily Mail, Sun Myung Moon, the head of the Unification Church, will be in the heart of the Palace of Westminster, thanks to his sponsor, Labour MP Dave Anderson, at the committee room for a conference on world peace. 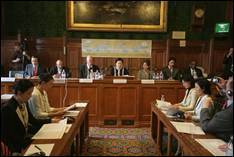 The Parliament had welcomed Moon events before: in January 2010 it hosted a “Genocide Awareness and Holocaust Commemoration” in a House of Lords Committee Room for Rev Moon’s Universal Peace Federation (UPF). 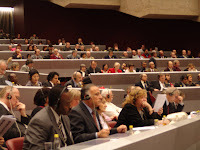 In 2008 a committee room was used for a “Plenary Session of the International Leadership Conference”, which complemented a Unification Church sponsored Global Peace Festival in London’s Docklands. The session was opened Anderson by Moon’s son Hyun-Jin Moon, known as Preston Moon; attendees included Amjad Al Majid (a Jordanian MP), Ahmad Tejan Kabbah (a former president of Sierra Leone, where Moon has increasing influence), Anton Rop (a former Prime Minister of Slovenia), Ida Betty Odinga (Chair of the League of Kenya Women Voters and wife of Raila Odinga), and Marcus Braybrooke (World Congress of Faiths). The Georgian Times added the detail that “Dalila Khorava, the Minister of Healthcare of autonomous republic of Abkhazia” was also planning to attend. Dr. Moon Junior, who spoke English with an American accent, described the festival’s origins as being the result of a young country boy who many years ago had prayed for such unity whilst on a Korean mountainside. 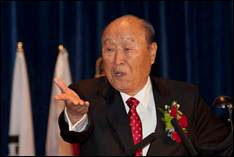 “And that country boy was my father, the Reverend Sun Myung Moon,” he said. At the special event in the Houses of Parliament, True Mother, Mrs Moon, was the honored guest of Lord Tarsem King of West Bromwich, who received her party at the Peers entrance to the House of Lords and took them on a 40 minute tour of the impressive public rooms and the Chamber where the Queen opens Parliament and the members of the House of Lords meet to debate legislation. By 10.45 the delegation entered the largest Committee Room in the House of Commons, over-looking the Thames, for a gathering organized by Member of Parliament, Dave Anderson, who has supported the work of UPF from the Middle East Peace Initiative to proposals to launch a low cost housing project. In his speech the Parliamentarian, Dave Anderson, reported: ‘I will be very clear, because there have been attempts in the past 24 hours to attack the UPF for what they are trying to do here. I probably never will be a member of the UPF... but what I do believe is that it will be one way for some people to support peace, and I believe that that is good thing. I believe that if other people with responsibility in the press and the media and other parts of this country were at least to say what is true, to reach out to people, find and build peace through dialogue, through listening to people and not through attacking people, that this would be only for the good. 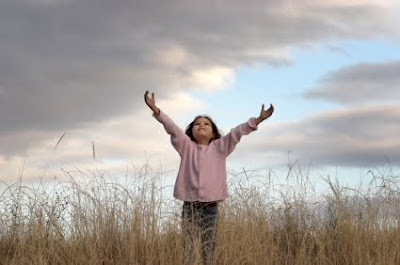 I believe that is the responsibility of people who genuinely want to find a light for the future. And that’s why I am really, really pleased to help this event today. Hence the reason for his presence at the meeting to support the work that UPF is doing through racial and interfaith dialogue. He wished UPF well for its further development, to make sure that we have stronger working relationships between the faiths, at a time that this is so much needed nationally and internationally. ‘Father Moon has worked all his life to create peaceful situations. His autobiography came out recently; I understand it was a best-seller in South Korea. I am sure that when it reaches here, that it will become a best seller in this country too. The sooner we realize and take advantage of the teaching of the Reverend Moon, the better off we will be. Dr. Moon is very special, and I think he has a unique vision in the world to influence for good what is happening. As well as offering a welcome, Lord King offered an apology to the Rev. and Mrs. Moon for the inconsiderate treatment they had received at the airport two days previously when their entry had been delayed, due to the failure of the British Home Office to communicate assurances given to British Parliamentarians that Father Moon would be allowed to enter without any need for prior clearance. Lord King assured True Mother that he had already made a complaint to the Border Agency and would continue to press for an explanation and apology for this lack of courtesy to an honored guest to our nation. True Mother was introduced to offer her keynote address by her daughter In Jin Moon, who spoke movingly of her personal experience, but also of True Mother’s mission and early life, the important organizations such as the Women’s Federation in which she played a leading role, and the significance of her position as True Mother. 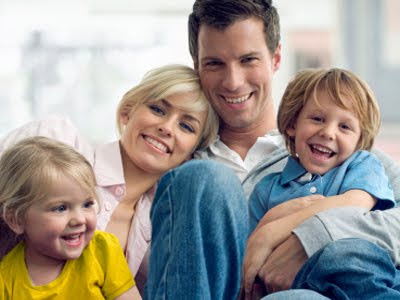 In particular she hailed Mother as a liberator for all women and cited this as one of the most important achievements of True Parents for which she expects them to be remembered in 200 years’ time. At the Founder’s Special Address In the evening it was her younger brother Hyung Jin Moon’s honor introducing his Father’s Founder’s Address. This was preceded by a build-up of a wonderful combination of congratulatory addresses, ceremonies and musical performances which had the packed audience of approximately 1,500 people enthralled waiting for the arrival of the great man himself. The proceedings began with an exquisite rendering of the famous Flower Duet by two young British second generation sopranos, which brought an early spirit of tranquility to the convention hall. A water ceremony was conducted by representatives of the faith traditions of Judaism, Christianity, Islam, Sikhism, Buddhism, and Hinduism. Each spoke (or chanted) to share their understanding of the importance of water in their respective traditions, in particular its symbolism of healing and cleansing, a goal shared by all the faith traditions, as was expressed symbolically by each pouring water into a common large vessel. The European UPF Chairman Dr. Yong Cheol Song gave the first congratulatory address, encouraging all Ambassadors for Peace to take on board principles expounded by the Founder. His words were taken to heart by the two Ambassadors for Peace who followed him. Mr Edwin Shuker, Vice-President of the World Sephardic Congress, spoke of how at an International Leadership congress in Seoul he saw the visible manifestation of the achievements of the Founder: hospitals and seminaries dedicated to serving others; many races and creeds were present but he only saw one - a single family under God. Society he said is controlled by fear - of the unknown, of the other. Confusion in the world reflects our individual confusion. We are unclear on right and wrong. But UPF shows clearly the right way - common hope not fear. We share our dreams, aspirations and ideals, not following transient trends but rather our holy books. Mr Anton Rop, former Prime Minister of Slovenia and a leading economist, spoke next. He now works as Vice-President of the European Investment Bank. He spoke of the financial crisis starting in 2007, the economic and social crises all around the world, and the various environmental crises, citing the statistic that 22,000 children die each day because of poverty. Too much pursuit of short-term profit cannot continue to drive us. We must behave as one family and make things better for all. 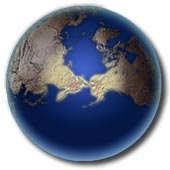 Father Moon, he said, points out that these crises arise from a single human crisis caused by selfishness. 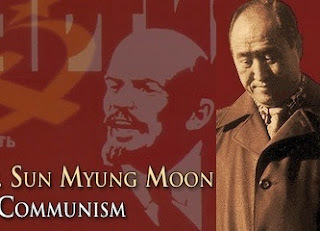 Hyung Jin Moon in his introduction to his father spoke profoundly and engagingly of the value of human beings primarily being secured by their lineage as the children of God. He also candidly revealed how his own understanding of his parents’ role as Messiah, Lord of the Second Advent and True Parents had developed over recent years. He himself had struggled to understand the meaning of these terms, noting that God too has many titles, but that at core He is the Parent of the universe bringing love to His children and that True Parents stand as the corporeal counterpart to this role. Finally Father Moon gave his speech. The audience were warned that the material might be a challenge to digest but the reward would be great since it was a summary of his life-long teaching. Dr Moon asked whether, based on their history, many accomplishments and the great academic tradition of Oxford and Cambridge, British people are qualified to victoriously enter the next stage of life, the Spirit World. His answer was a very clear ‘No!’ Even being buried in Westminster Abbey doesn't give you such a qualification, it is merely a church built on top of a cemetery! 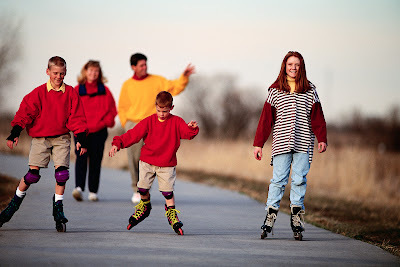 Only True Parents, he continued, can understand and explain the things you need to know. Rev. Moon cited that 450 volumes of his speeches have been published but that his intention is to publish 2,700 and that already they are in libraries in 43 countries. So there is an indestructible foundation. Even a professor in Oxford he said would have trouble making headway on 2,700 speeches even with 10 years at his disposal. That was why we were privileged to have a head start with the text of his keynote address which summarized all the key points. He urged us to read his biography too, as many of the VIPs present insisted on various occasions that they had (and had not been disappointed).